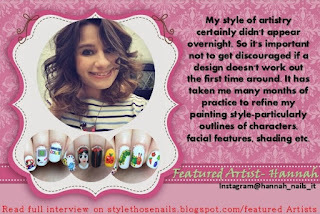 1)Please tell little about yourself and your nail art journey. My name is Hannah. I live in the North of England, close to the beautiful Roman walled city of Chester. 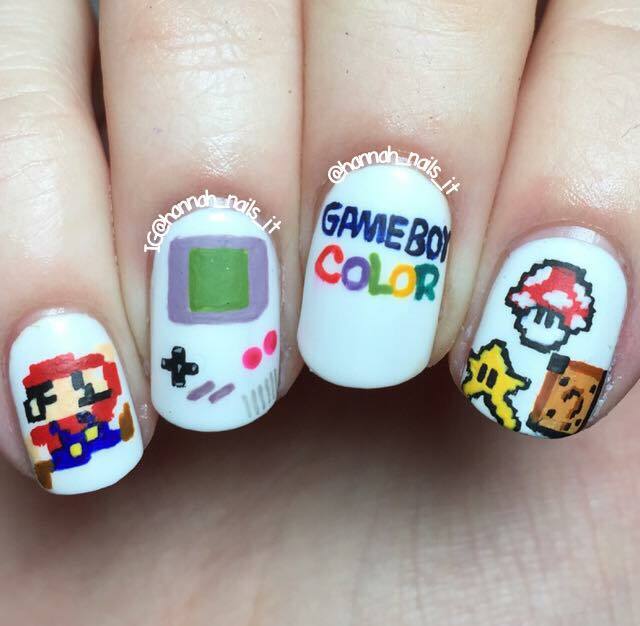 I've attempted and experimented with nail-art in various forms over the years, but it has only become a really serious hobby for me over the past two. It's a huge part of my daily life, whether it's planning my next design, seeking inspiration from the world around me or putting my ideas into reality on my nails. Joining Instagram has honestly been life-changing for me, as I would never have discovered fellow artists who love to paint as much as I do. It's amazing to have this whole community of such supportive, creative and talented individuals to learn from and be inspired by. I can't think of too many hobbies that afford such positive qualities. It's a special thing and I am so proud and humbled to be a part of it. 1) I am an unashamed big kid at heart! Even though I'm now in my twenties, I still love Disney and other cartoons just as much as I did when I was growing up. 2) Pop culture is a universal phenomenon. We all recognise and identify with certain logos and characters- no matter where we live in the world. This enables my designs to resonate with a global audience, and I hope they raise a smile from both near and far! 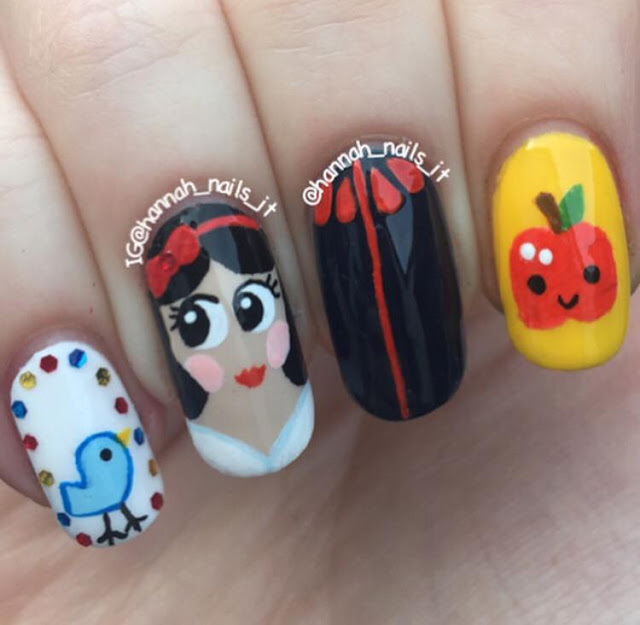 2)How you manage to create miniature characters on your nail canvas? Have you done any special course? 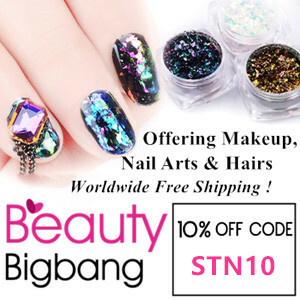 I am not a trained nail technician and have no credentials that relate to nails in any way. However, what I do have is a passion for my art and a whole lot of patience! My style of artistry certainly didn't appear overnight, so it's important not to get discouraged if a design doesn't work out the first time around. It has taken me many months of practice to refine my painting style-particularly outlines of characters, facial features, shading etc. I'm still far from perfect- scale and realism are two aspects I'm still getting to grips with! It's almost heartbreaking to have a design start off really well, but then it slowly begins to dawn on you that that you haven't got quite enough space to finish it! The important thing is that you learn from every bad experience so you can turn it into an improvement. Hope you enjoyed this interview. 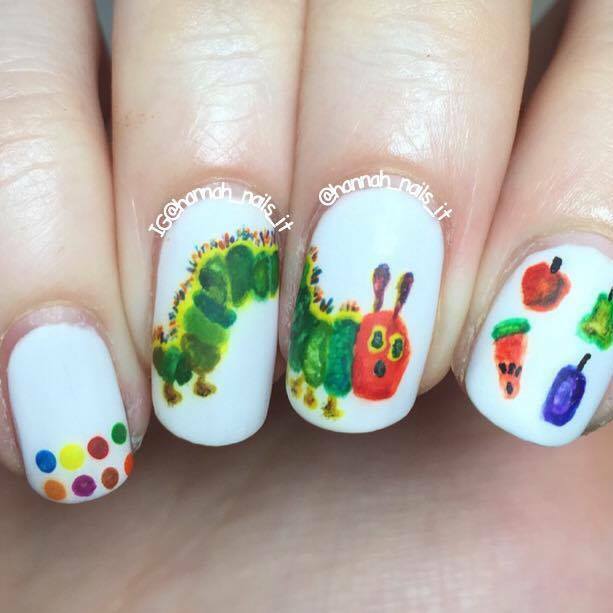 Which nailartist you want to know about next?